How can communities reduce carbon emissions while preparing for climate change impacts? Chapter 6 from our report summarizing the lessons we learned on the Great American Adaptation Road Trip. We partnered with the Georgetown Climate Center to get this to you. Chapter 7 coming soon. Take-home lesson #6: Sometimes greenhouse gas mitigation and climate adaptation goals will conflict; but often times communities can reduce emissions while preparing for impacts. With the 2014 National Climate Assessment detailing climate change impacts that are currently being felt in all 50 U.S. states, communities around the country are grappling with how to simultaneously adapt to these impacts and reduce their own greenhouse gas emissions. Doing so on a large scale will be key to making sure that efforts to adapt to climate change don’t exacerbate the problem, and instead build towards communities that are less reliant on greenhouse gases—in itself a form of adaptation to a climate-changed world. Small-scale examples are beginning to show that this is possible. Sand bags line the perimeter of the Grand Rapids Wastewater Treatment Plant, protecting it from a flood. At the community level, climate action plans now often include adaptation measures alongside greenhouse gas reduction goals. For some communities, the realized need to prepare for the impacts of climate change is part of what motivates a host of sustainability efforts. In Grand Rapids, Michigan, a series of floods in the 1980s exposed the need to separate the wastewater and stormwater systems. 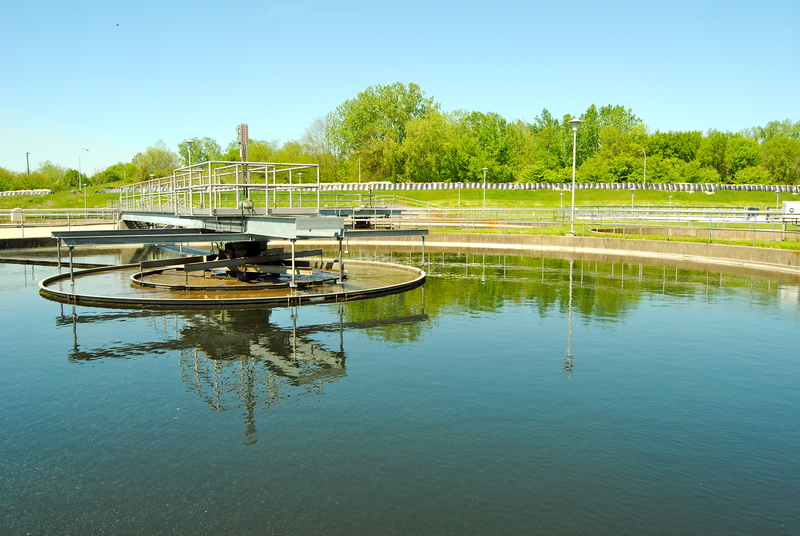 Under the leadership of Mike Lunn, the Director of the City’s Environmental Services Department, Grand Rapid’s wastewater treatment plant is now state-of-the-art. Its onsite rain gardens help divert 1.5 million gallons of untreated stormwater and prevent flooding, and its energy efficient blowers transfer otherwise wasted energy from one building to another, earning the plant a one-time $39,000 energy rebate from Consumers Energy, the local utility. As reflected in the city’s five-year sustainability plan, these efforts are about improving quality of life in Grand Rapids, so ‘climate protection’ translates into reduced energy demand, a safe water supply, and a quality built environment. The sustainability plan is tied to the city budget, putting some monetary muscle behind its targets, many of which increase resilience while also reducing emissions. 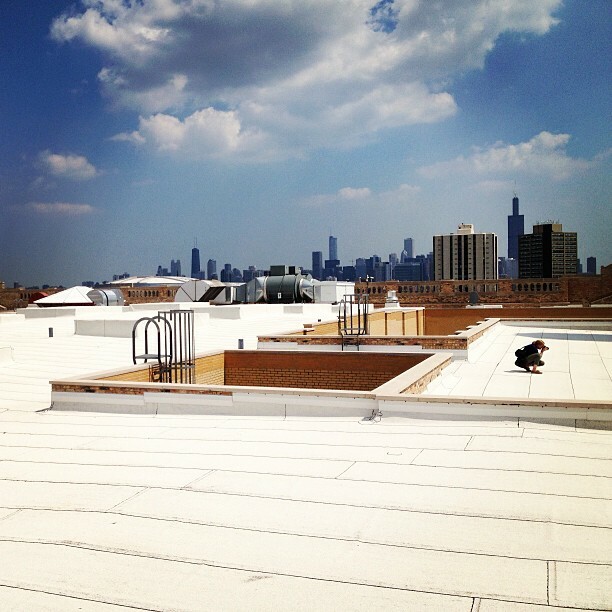 The white roof of Crane Technical High School in Chicago saves energy and limits urban heat. Many larger cities, such as Chicago, Boston, and New York, are coming out with climate action plans that include adaptation goals alongside emissions targets. For instance, Chicago’s climate action plan calls for installing rooftop gardens on 6,000 buildings in the city, and an ordinance aimed at addressing the urban heat island effect requires non-garden roofs to reflect at least 72 percent of sunlight. Though the effectiveness of white-painted roofs need to be tested further, one study shows that building owners can save up to 40 percent on cooling costs from the increased reflectivity. 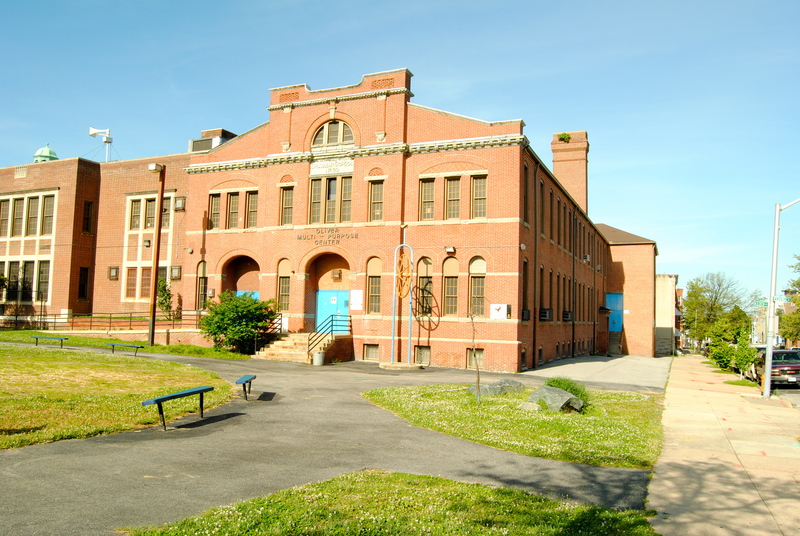 On buildings like Crane Technical High School, which serves low-income neighborhoods, the ‘cool roof’ reduces students’ vulnerability to heat waves while also cutting the need for air conditioning and its associated emissions. Implementation tip #6: Financial incentives for buildings to install solar energy systems with backup battery power or green roofs can accomplish important resilience outcomes while also reducing greenhouse gas emissions. 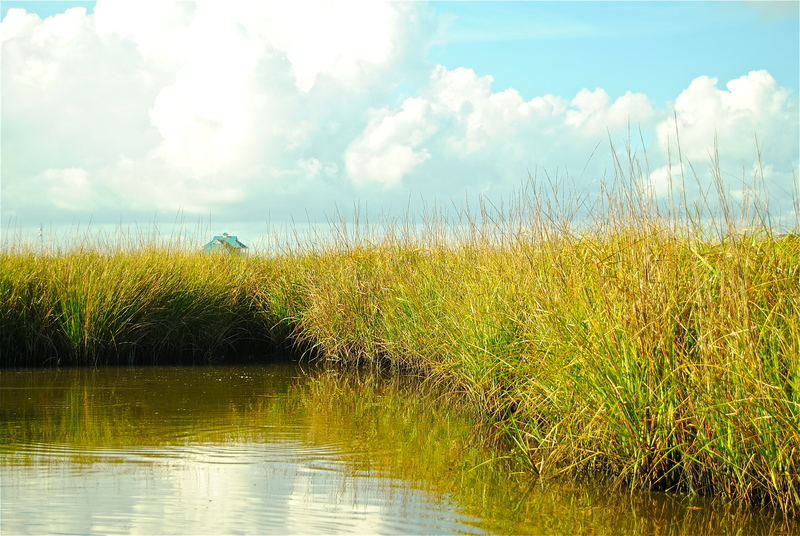 Wetlands in the Gulf of Mexico protect homes from storm sturges and store carbon. The private sector is also beginning to find ways to work on reducing emissions while preparing for climate impacts at the same time. Entergy, the major electrical utility in the Gulf of Mexico, plans to purchase carbon offsets from a wetlands restoration project west of New Orleans; they also financed the creation of the methodology that allows the project developer, Tierra Resources, to quantify and sell emissions reductions from the wetland. From Entergy’s perspective, the investment serves two purposes. It helps the utility to reach its goal of reducing carbon dioxide levels to 20 percent below 2000 levels by 2020 by offsetting those emissions that cannot be reduced through efficiency, fuel-switching, or other means. But wetland restoration will also provide important storm protection to Entergy’s assets, which include 15,800 miles of transmission lines and 40 generation facilities along the Gulf Coast. A cooling center in central Baltimore cranks the air conditioning on hot days. That said, there are certainly instances of tension between the need to adapt to climate impacts on a local scale and the need to mobilize a global effort to avoid climate impacts by reducing carbon emissions. In many places, air conditioning use will increase as average temperatures rise—sometimes as an emergency response. After 13 people died in Baltimore due to heat-related causes in the scorching summer of 2012, the city stepped up its efforts to keep people safe for days when the heat index hovered above 105 degrees Fahrenheit, in part by opening air conditioned cooling centers for Baltimore’s vulnerable populations of elderly, poor, and homeless residents. In cases such as this, where health and equity are concerned, the short-term need to keep residents safe must override emissions reductions goals. However, longer-term efforts to combat extreme heat in Baltimore by growing large shade trees may reduce the need for air conditioning over several decades, while sequestering some carbon, too. « Older Post How can communities overcome the upfront costs of adaptation? 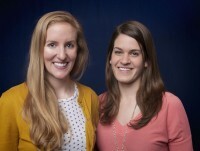 » Newer Post How Can Stories Advance Community Resilience?